The St. John’s Model is simple. Regardless of where you have come from, regardless of the choices you have made, and regardless of what led you to this position, you have dignity and worth. You are loved. We welcome individuals to come right as they are. St. John’s is reaching out to the community with an opportunity; an opportunity to give a simple gift that will truly make a difference for someone in need. 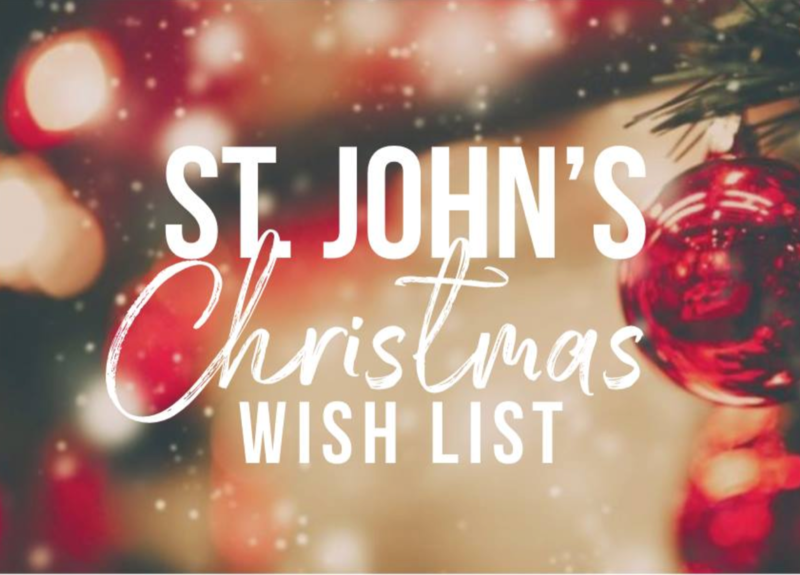 To access St. John’s Christmas Wish List, Please Click Here. To Learn More about St. John’s Shelter and The Micah Center, Please Click Here.